Not everyone is an accountant. Some of these days may be decent, while others are probably not so good. As a busy small business owner, we always have days where things just don’t go right. So keep tracking things are a good habit to overcome unwanted risks. Financial projections and financial forecasts are the weapons to keep track of your financial situations. What is the difference between financial forecasts and financial projections? When you use term financial projections, Then there is a significant difference between financial forecasting and financial projections. 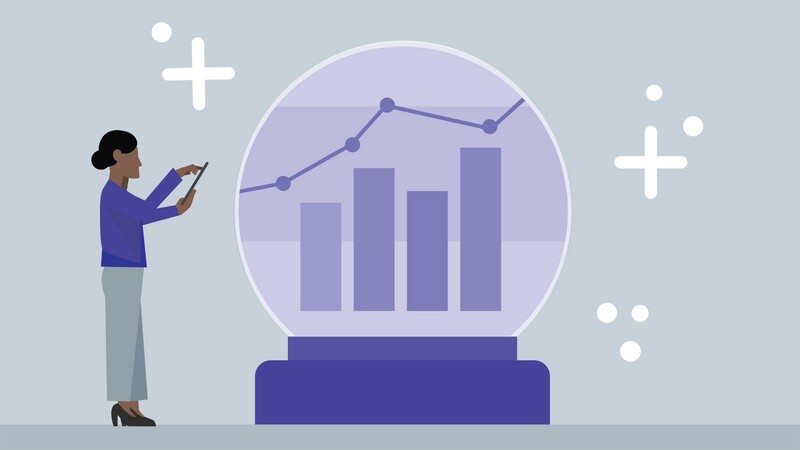 In a forecast, these assumptions are based upon specific fact patterns, making it more representative of the expectations for actual future events. However, in a projection, the assumptions are more of the desired scenario, not necessarily what is most likely to occur. 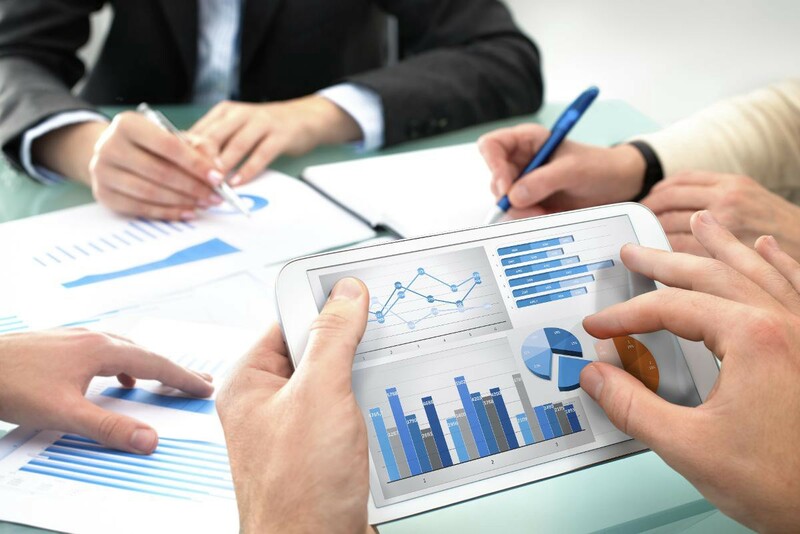 Financial projections are normally used while writing business plans, Investors are more interested in financial projection how it would perform in the future. Normally financial forecasts are for the public listed company and financial projections are the essential part of small business planning. By considering factors such as manufacturing costs, market prices, and need for your services, you can achieve a very clear comprehension of your financial situation and discover your entire profit potential. Attach it to the Business Plans: The preparation of financial statements to predict the results of a company’s outcome in future periods, You need to attach business plan projection statements into your business plan. What to keep and what to cut: By projecting your revenue and expenses, you can find a more precise view of how effective your business can be. Creating financial projections is a very significant part of developing a sound strategy. The financials tell you what goals to keep and what to cut. Keep track of Business Growth: To generate and encourage additional revenues, additional cash is obviously demanded. Financial projections help you assess what additional assets are necessary to support greater earnings and the possible effect on your balance sheet. The projected financial plan indicates how much additional debt or equity you want to remain solvent and healthy. Investors ask you for: Creditors won’t just request data in your previous performances, also called historical data, in the financial section of your business plan they may also request for 5 year financial projection or 3 year financial projection for startups. No Assumptions Listed: Startup financial projections include assumptions — assumptions around growth rates, pricing, expenses, and several different things affecting the condition of the company. Financials which don’t openly list assumptions are red flags to investors. The financials should include a comprehensive written explanation that describes the assumptions listed and how the entrepreneur arrived at these assumptions, including any evidence or supporting data. No Bottom Up Assumptions: You need to understand that the company’s revenues and growth rate from the bottom up. The cost of the item, the margin per unit, and the number of units sold should all match up to a revenue amount. Bankers and potential investors will look at this and immediately know that you don’t understand the industry of your business. You can’t just assume a top line number. In order to generate a $500,000 profit next year, how many ice-cream will you need to sell? At what price? How are you going to get those customers? Don’t say that you will have a great service, or that your coffee is better. Your assumptions need to be based on data, when possible. For example, “there are 200,000 people in my city, 28% of people buy ice-cream from an ice-cream shop, I will need to capture 40% of the market in my city in order to generate a $500,000 profit next year.” Now you can outline a plan to demonstrate exactly how you intend to capture that 40% market share. Excluding Scenario Analysis: The only thing we know is true about a startup’s projections is that they are incorrect. It’s a red flag if a startup doesn’t consist of multiple potential situations in their own calculations. Anyone studying the projections should have the ability to plug unique numbers into the startup’s assumptions, normally listed clearing in the top left of a spreadsheet, and also see how different requirements may impact the company. The planner commonly makes mistakes with profitability. They usually think ideas in their own favors, meaning they set profits too high or make a profit too early. In the actual world, startups decide growth or profits, not both. The plans we see are aiming at angel investment. And therefore, the shareholders win on growth, not profitability. Considering Revenue before it actually arrived: This could be services that the business hasn’t been paid for yet or the pre-sale of an item which has not shipped yet. This sort of revenue has some danger that it will not be collected and must be recorded individually to revenue which has been received. Projecting deferred revenue too early: Deferred revenue is a liability that’s made when monies are received by a company for goods and services not yet supplied. Deferred revenue can help inflate a startup’s numbers early on. It’s important that fiscal projections become clear about if there is deferred revenue included in financial projections. When it is not made clear, investors will probably ask. Considering one-time and recurring revenue has the same nature: Occasionally startups make money through hosting events, doing services operate, getting sponsorships, and other one-time tasks to be able to keep their business afloat. These one-time revenue sources can be very misleading if they aren’t separated out from yearly recurring revenue. When you create a breakeven analysis you are determining how many units you have to sell in order to breakeven, in other words, your revenue and expenses are equal. Breakeven analysis can help you determine how many units you have to sell every day, month, and year. Founders often neglect to include themselves in the organization’s expenses. While it’s fairly normal for a founder to pay themselves little or nothing from the very early days of a company, this is usually not sustainable and not in the long-term interest of the business. Investors do not need someone running the business if they’re so desperate for money personally they may take the very first acquisition deal — or worse — job offer that comes their way. Many founders forget about to mention historical data and start projections at month one. Leaving out all historic data. This can be very frustrating for investors who do not have any context for where your first numbers are coming from. As opposed to separating your historic financials from your projections, think about bridging the two statements by adding them on the same spreadsheet. It’ll paint a far more convincing story for prospective investors. This usually makes the wrong income statement projections. Many businesses similarly neglect to factor in the fully loaded expense of employee salary, once any benefit expenses and labor insurance are factored in. Taxes can be an enormous expense for a profitable firm. Based on where you are and your company structure you would expect to pay 25% or more in earnings. This is important for investors because investors are paid after taxes. almost all businesses have a cost associated with the selling of their products or services. It’s easy to misunderstand and miscategorize expenses in Cost of Goods Sold. Keep it different from other expenses, COGS would be the expenses that you would just incur if you sold a product or service; whereas, an expense which you would incur whether you made a sale or not is a fixed cost or operating expense. Any expenses related to providing a service or product should be included as costs on your projections. Business founders commonly exclude bad debt expense in their own budget. Bad debt expense may vary greatly depending on the business, however, there are only a few businesses where you collect every dollar of revenue earned. Will 2% of your customers don’t pay, or will 7% fail to pay? This is an important factor, and failing to add this line item in your prediction could be a warning sign for potential investors. are you preparing financial projections to impress an investor? Look at here How to convince investors that your business is ready to scale up? Financial forecasts assist you to meet your business goals. Get the power to read the secrets are hiding off by your three main financial statements: Income Statement, Cash Flow Statement, and Balance Sheet. The Financial forecasting term is also known as pro forma — forecasting because here you are referring to a forward-looking financial expectation on all three Pro-forma Income statements, Cash flow, and Balance sheet. Pro-forma forecasting estimates an organization’s future financial outcomes by analyzing historical data. Financial forecasting allows management teams to expect outcomes based on previous financial data. The purpose of a forecast is to inform and assist the management in decision-making. Management can review sales revenues, production expenses, balance sheet, and cash flow projections for competing plans with the underlying assumptions explained. Based on an analysis of these figures, management selects an annual budget. Because Pro-forma statements are presented in a standardized, columnar format, management utilizes them to evaluate and contrast other business plans. By organizing the data to the financial and operating statements side-by-side, management analyzes the projected consequences of competing plans in order to choose which best serves the interests of the company. Pro forma statements provide data for calculating financial ratios and for doing other mathematical calculations. Financial models built on Pro-forma projections contribute to the achievement of corporate targets should they: 1) test the aims of the aims; 2) furnish findings which are easily understandable; and 3) provide time, quality, and price advantages over other methods. A small business prepares Pro-forma financial statements as soon as it hopes to expertise or has only experienced significant financial fluctuations. The pro forma financial statements demonstrate the effect of the changes on the organization’s financial standing as represented at the income statement, balance sheet, and also the cash-flow statement. Businesses also use pro forma statements in external accounts prepared for owners (stockholders), lenders, and possible investors. For companies listed on the stock exchanges, the SEC requires pro forma statements with any filing, registration statements, or proxy statements. Do you have any other financial projections mistakes or benefits that I might forget to mention here in this article?, Feel free to post in comments your suggestions or questions. If you enjoyed reading this article, please support my work by hitting that little clap!